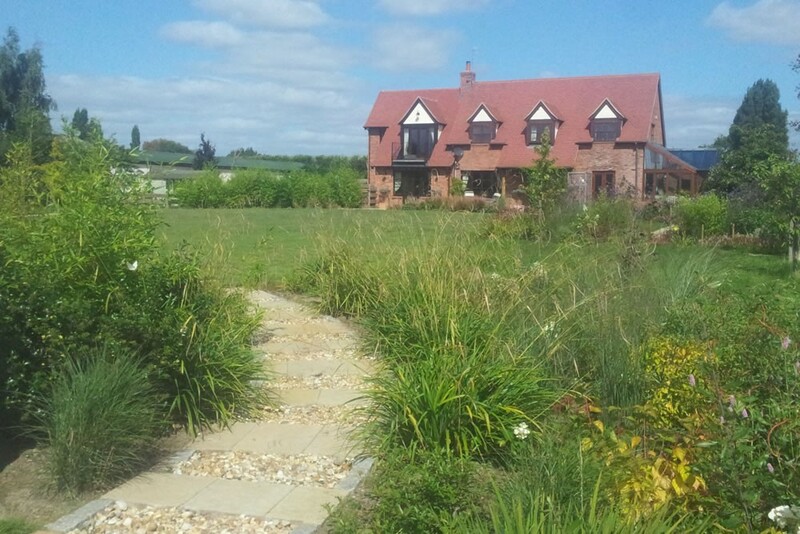 An on going project, the property is located in an agricultural setting with great views to the surrounding landscape. 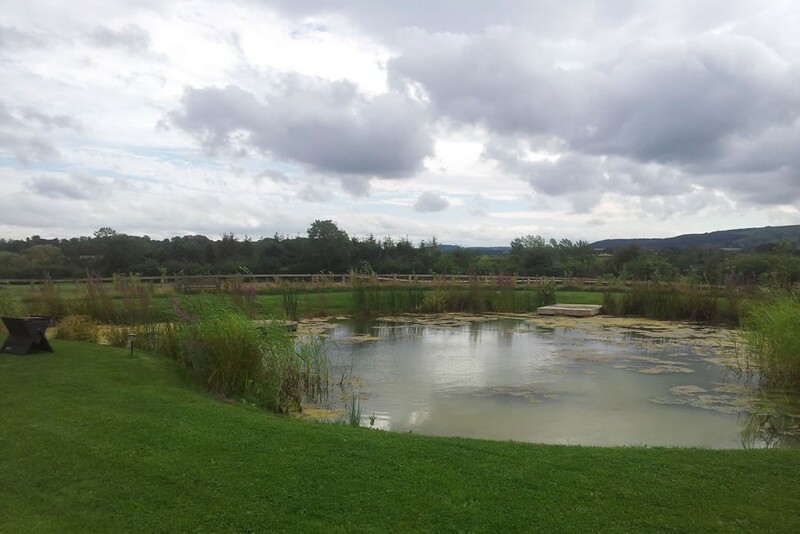 Initially we created a natural clay pool with a backdrop of native trees and shrubs to blend in sympathetically to the environment. 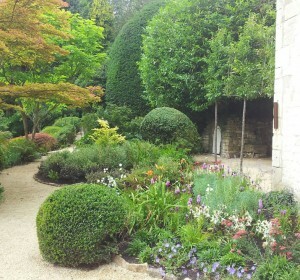 A summerhouse with wood burning stone ensures this is a well used part of the garden. 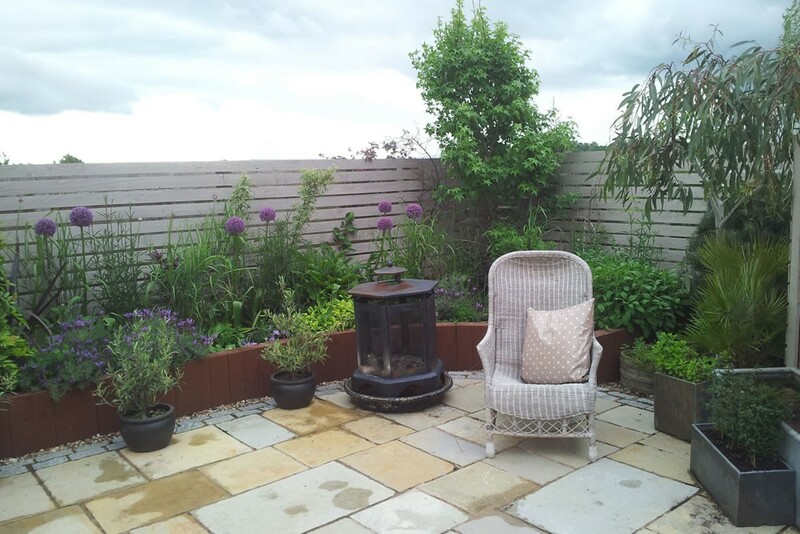 Herbaceous borders were added the following year, and more recently an enclosed private courtyard, which provides shelter and entertaining space on windier days. 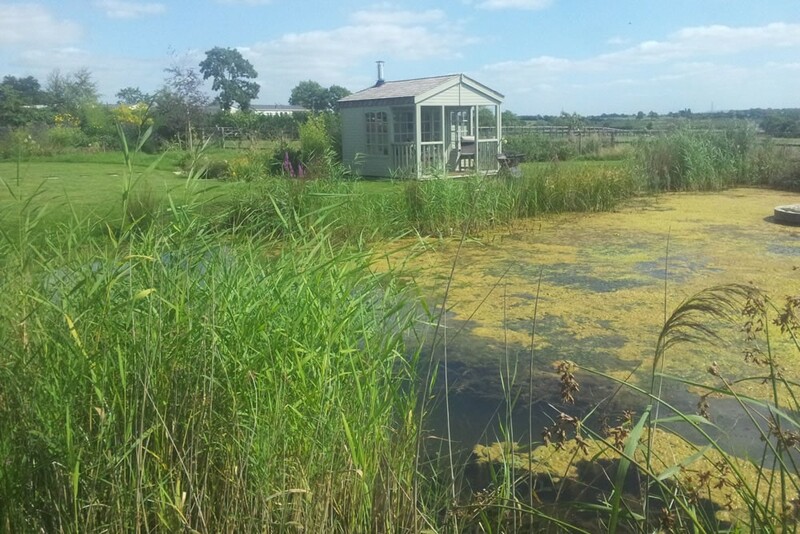 Clay excavated on site was used to line the pool. 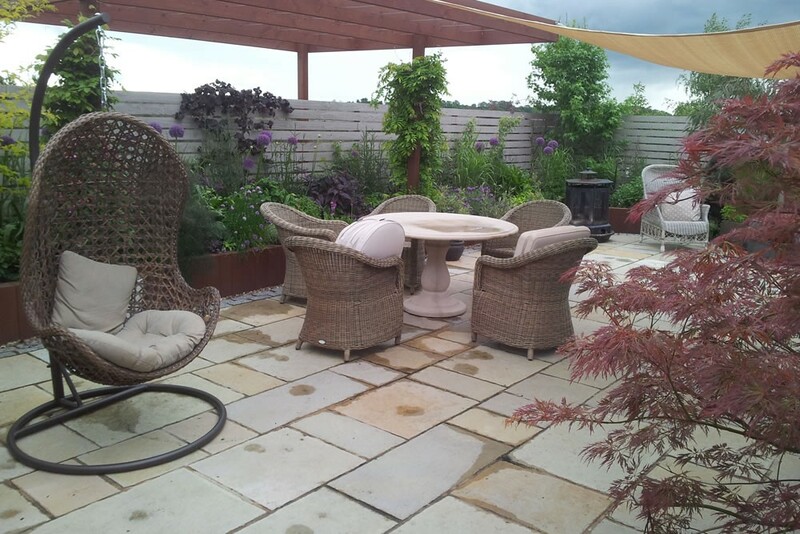 Limestone paving and granite setts were chosen for durability and ease of cleaning. 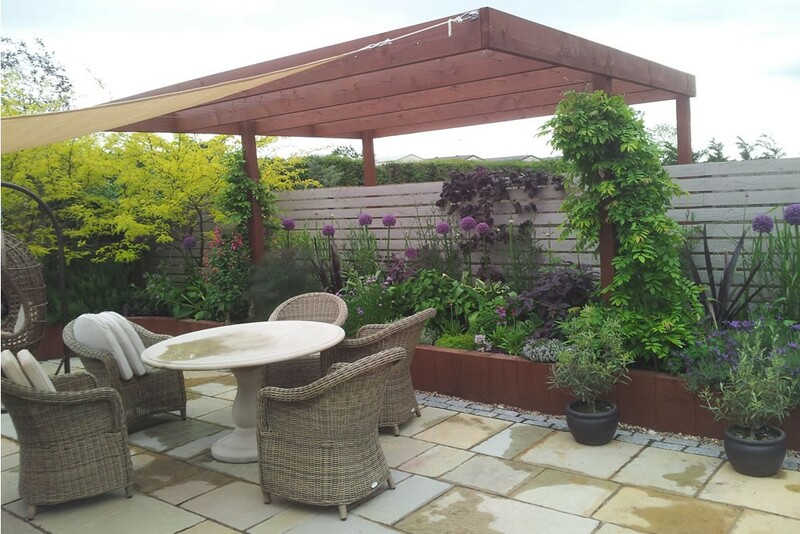 Treated softwood has been used for both retaining walls and as painted fencing and cantilevered pergola that has a shade sail attached in summer. Phyllostachys bissetii gives a tough evergreen barrier in this exposed site. 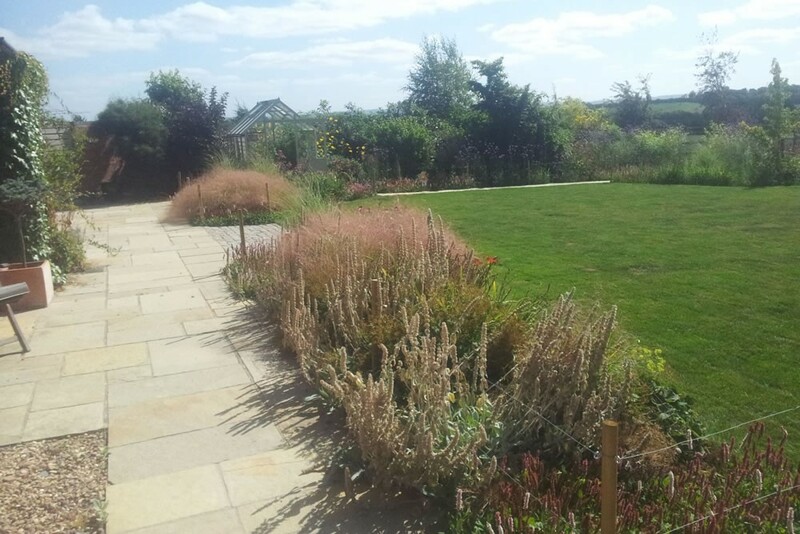 Stipia arundinacea fills the herbaceous borders setting off drifts of verbena and Echinacea. 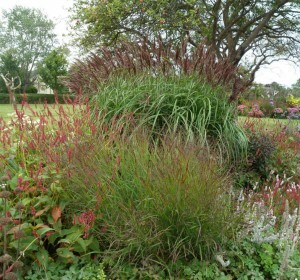 One part of the garden is always very wet, planting of willows, persicaria, carex pendula and miscanthus has thrived in this area.